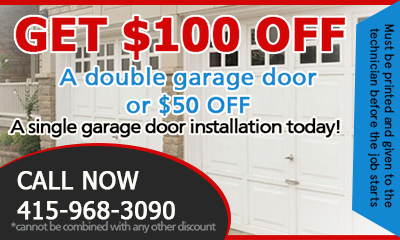 Call our garage door company when seeking the best contractor! We ensure fast, yet reliable and methodical garage door service by the most experienced, competent and well-trained technicians. Garage Door Repair Tiburon keeps its teams organized and makes sure all services are provided on a 24 hour basis. We replace garage doors fast and are very thorough with maintenance. We keep ready and well-prepared for same day repairs and will certainly substitute the damaged components with the best garage door repair parts. Call the best in California today and forget about problems! Email us your questions, problems and desires!